Sunday tacos and sweet bread, to be exact. Why? Because I am DETERMINED to lose the last of my baby lonja or “fluff”. I love my body. It’s pretty awesome. The fact that it’s produced two awesome girls makes it even more awesome. So I’m working hard to take care of my body, and get back in fighting form. For now, I’ve limited my junk and sweets. So here it is, a picture of my results so far. I’m squeamish looking at this, but I’m hoping you see this and become a little less squeamish about yourself. I was freaked out about posting this picture but if I am trying to help others succeed, I need to share how far I’ve come. right? If you don’t think you have the time, you do. I try in the mornings, go home for lunch, wait until everyone is bed. I have the girls “help” me exercise. I FIND it. I doesn’t happen everyday the way I want it to, but it’s happening. If you don’t think you have the resources, you do. I’ve spent less on going out to eat for lunch, which compensates for my investment into my workout routine. If you don’t think you can do it, look in the mirror. Whatever you want to do, do it for that person you see there. Your happiness matters to you and the people you hold dear. Follow my progress on Instagram or go here for some fitness motivation! You look fantastic! By sharing those photos you are inspiring so many women (me included!) to get up and get moving. LOVE, love, love this post, Amanda. Thank you, Colleen! I’m working on toeing the line of my comfort zone. I love this! 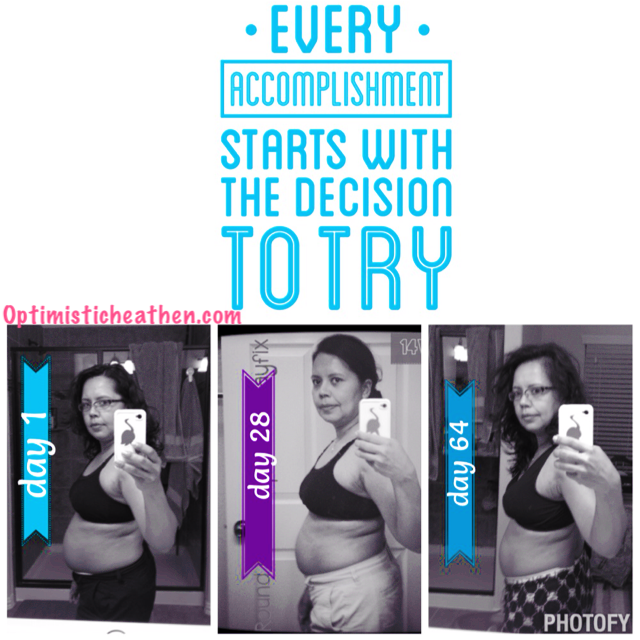 You are so awesome for sharing your progress Amanda! Thank you!